As one of the largest cities in the Washington, D.C. metropolitan region, there’s constantly some festival, farmers market, historical tour, or local restaurant special taking place any night of the week all year round, making it a dynamic area that’s chock-full of possibilities. Whether you already live in the area or are thinking of moving to Alexandria, it’s almost impossible to capture the essence of the neighborhood on paper. However, there are some well-defined characteristics of this Northern Virginia community that truly makes it one of the best places on the East Coast to reside. Here’s a quick overview of Alexandria, VA to give you a sense of what this neighborhood has to offer! The greater D.C. area is home to a melting pot of cultures and people, which allows Alexandrians to enjoy the smells and flavors of far-flung destinations without having to step much further than their front door. When you live in an apartment in the heart of Alexandria like The Frasier, the two closest eateries are Los Tios Grille and Bombay Curry Company, making enjoying these ethnic cuisines a snap. Other local specialties include Cheesetique Specialty Cheese and Planet Wine, because where would wine be without cheese? Top Alexandria breakfast and brunch offerings include local favorites Caboose Cafe & Bakery, St. Elmo’s Coffee Pub, and Bon Vivant Cafe + Farm Market. For lunch or dinner, there is no shortage of options either. Rustico, Taqueria el Poblano, Pork Barrel BBQ, Del Ray Pizzeria… the list goes on. If you’re just looking for great happy hour specials with tasty nibbles available as well, Kaizen Tavern serves Asian fusion cuisine and you can’t go wrong with their skewers. The Potomac Yard Center brings together everything from Best Buy to Old Navy to be the one-stop shopping destination in Alexandria. If you’ve got money to spend, it’s easy to do at Potomac Yard Center! The Birchmere is Alexandria’s premier music venue and is located only a few minutes away from The Frasier. 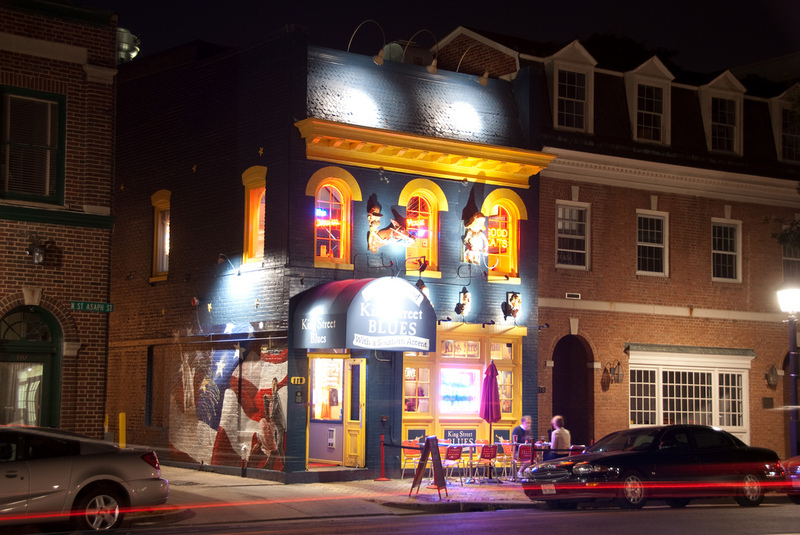 With a performance history that includes Dave Matthews Band, Emmylou Harris, and many, many more, residents of Alexandria never have to wait long to catch a fantastic live show in their own town. Potomac Riverboat Company offers sightseeing tours and private charters on the Potomac, so if you’re looking to host guests or just want to enjoy the sights of D.C., this is the perfect outing option. For something indoors, you can never go wrong with a visit to the Torpedo Factory Art Center. An Alexandria arts institution since 1974, the Torpedo Factory has a storied past that includes munitions manufacturing, government storage, and eventually the largest collection of publicly accessible working-artist studios in the United States. Right next door to The Frasier is the Mount Jefferson Park Trail, giving residents and locals easy access to outdoor spaces to run, hike, and enjoy nature without leaving the city. Just north of the city center, the Washington Sailing Marina hosts sailboat races, classes, and bike/boat rentals. On Saturdays, you have your choice between two world-class farmers markets in the area, the Del Ray Farmers Market or the Old Town Farmers Market, both in Alexandria city limits. Living in Alexandria isn’t for everyone – simply those with a passion for life and culture. If you’re ready to make Alexandria, VA your new home, contact us at The Frasier today!